Florida Atlantic University has created a central repository for all academic video content on campus, including more than 10,000 existing videos that have been migrated to the new platform. The institution selected Sonic Foundry's Mediasite product to handle both lecture capture and video management across the university. "FAU used a video solution prior to choosing Mediasite, but it lacked an intuitive back-end management system that easily organized its videos," explained Joanne Julia, director of instructional technologies, Office of IT at FAU, in a statement. "One of the things we liked best about Mediasite was its ability to flexibly organize recordings." Now, all videos are managed in the Mediasite Video Cloud and can be watched through the university's Canvas learning management system. "They're easily searchable and readily available as course supplements for faculty and study tools for students," noted Adam Campbell, manager of videoconferencing services in FAU's Office of IT. Going forward the university is using Mediasite to capture classroom lectures in 98 courses, allowing students to review course content on-demand. In addition, instructors can use My Mediasite software on their own computers and mobile devices to create short videos from anywhere. For example, faculty are creating video content for flipped classes, supplementing homework assignments and elaborating on topics based on student feedback, according to a news announcement. 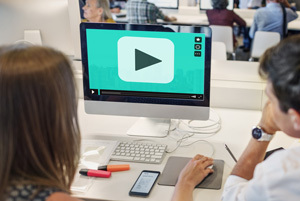 Faculty can also capture videoconference content using Mediasite Join, which integrates with the university's Cisco videoconferencing system.